The hr120 is the latest flagship in SVS-Vistek’s ultra-high-resolution series with a stunning resolution of 120 megapixel. The ultra high resolution makes the hr120 the perfect solution for display and electronics inspection tasks, supporting the trend towards large-image microscopes. 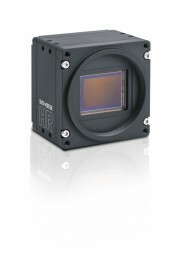 Heart of the new hr120 is the new Canon APS-H rolling shutter CMOS sensor with 13,272 x 9,176 square 2.4µm pixels. The sensor takes benefits from the new temperature concept of the revised HR series body design. Its optimized temperature management gives an outstanding optical precision, along with an excellent image homogeneity.This enables the sophisticated electronics to take full advantage of the low noise sensor, thus providing an impressive high dynamic range. The M58 lens mount offers maximum flexibility in the selection of lenses and adapters. Like all SVS-Vistek industrial cameras, the new member of the family includes all the standard features such as a lookup table, area of interest, offset, flipping, binning alongside many other functions. Extensive I/O options such as electric & optical input, a timer, a sequencer and input operators facilitate system integration, while the integrated multichannel flash controller does away with the need for any additional programming and hardware. Demanding users will also appreciate the defective pixel and shading correction function for lenses. The precise interplay of the camera, lenses and light sources forms part of the DNA of all SVS-Vistek products and is one of the reasons for their success. As the Camera Link version achieving 6.7 images/s has been released for series production in December, it will be possible to commence production in January 2018. This will be followed by a version with a CoaXPress interface in Q1/2018.